I know it’s probably hard to believe but in addition to doing tons of personal work in my photography, I also am a professional photographer. Recently I was hired to create cover and featured photos for Methow Arts quarterly Arts magazine. They always feature a local artist and in this valley, there are lots to choose from. This season Julie Wenzel, creative director at the Merc Playhouse was the featured artist. I love the theatre and photographing there so it was a good match for me. 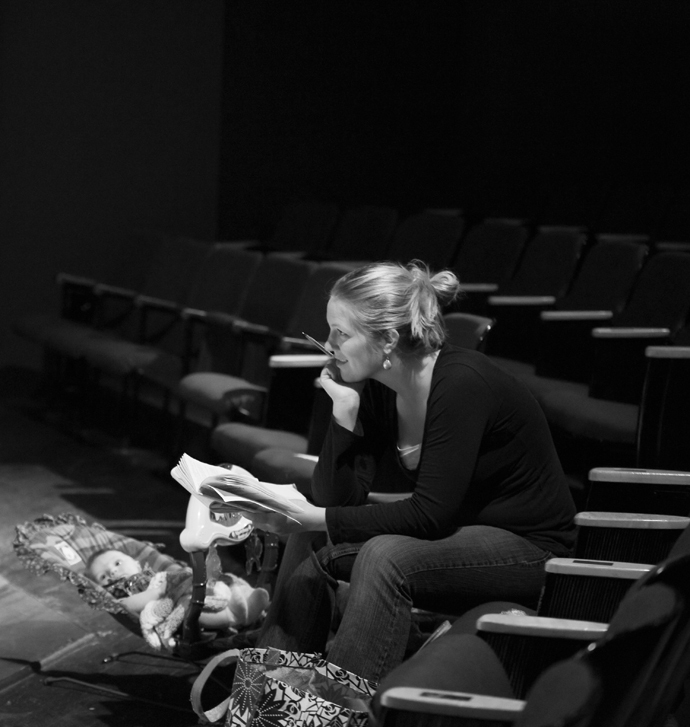 Here is Julie with her two month old baby directing a rehearsal of a readers’ theatre. More photos from our shoots can be seen at my Reflected Light Images blog. The Methow Arts article can be seen here. Congrats Teri. This sounds like a good gig!